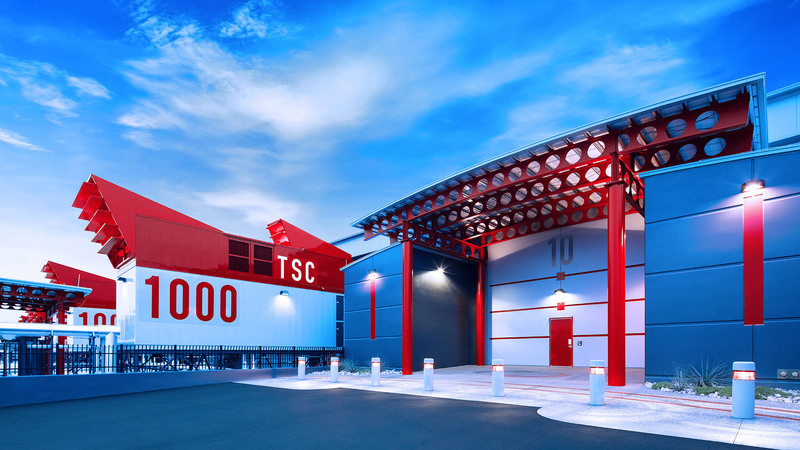 LAS VEGAS – Switch, the global technology solutions corporation that is powering the future of the connected world™, today announced the opening of its LAS VEGAS 10 data center, a Switch MOD 250 (Modularly Optimized Design), at Switch’s Core Campus. The Switch MOD 250 is designed, constructed and operated to the same specifications of the company’s existing LAS VEGAS 8 and 9 data centers, all to Switch’s proprietary Tier 5® Data Center Standard. Fueled by strong demand for colocation services from the company’s existing and new clients, Switch’s LAS VEGAS 10 adds nearly 350,000 square feet and up to 40 megawatts (MW) of power to The Core Campus in Las Vegas, making it currently over 2 million square feet of data center space with up to 315 MW of power. Switch is the largest multi-tenant data center provider in the world to be 100-percent green and receive all “A” grades in Greenpeace’s Clicking Clean report, which recognizes companies for their leadership in sustainability. LAS VEGAS 10 continues the build-out of Switch’s Core Campus, well ahead of schedule to meet the mission-critical demand for more data center space from Switch’s world class clients. Switch’s clients include Amazon Web Services, eBay, Marvel, Shutterfly, FOX, Amgen, Lionsgate, Zappos, Intuit, DreamWorks, Intel, MGM, HP, State of Nevada, PayPal, Hulu, Machine Zone, Boeing, Warner Brothers, NASA, Verizon and many hundreds more. Almost 1,000 construction workers, 85 percent of whom are Nevadans, have been employed building LAS VEGAS 10 over the past eight months. In addition, due to Switch’s continued growth, The Core Campus has been an ongoing source of expansion, employing many thousands of workers over the past 10 years. For more information on LAS VEGAS 10 and The Core Campus click here.